The controversies and ongoing debate over international ethics between advocates and skeptics are explored in this timely volume. 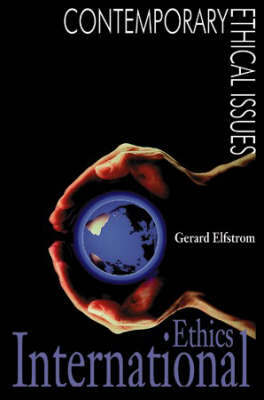 International Ethics outlines the history of the field, analyzes its fundamental concepts and methodology, and examines more than 20 special topics such as indigenous people, population control, national sovereignty, women's status, and free trade agreements. The book also presents biographical sketches of key activists and scholars in the field, a chronology of developments in international ethics, and significant documents such as the Helsinki Accords. Directories of print and nonprint resources and relevant organizations round out a volume that can serve as a foundation for decision making, research, and enhanced understanding.